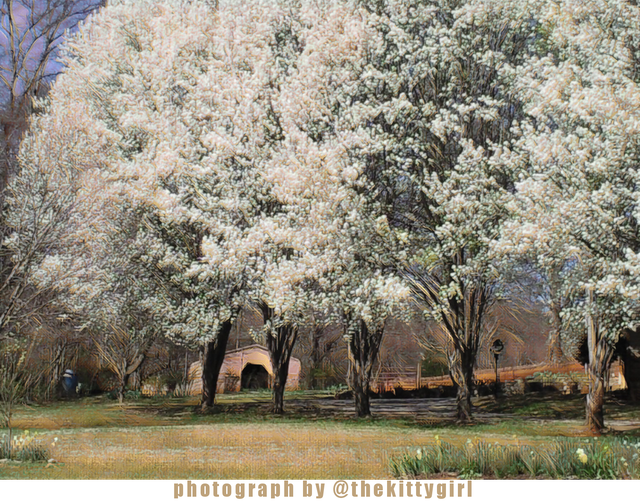 Bradford Pear Trees [Tree Tuesday]steemCreated with Sketch. 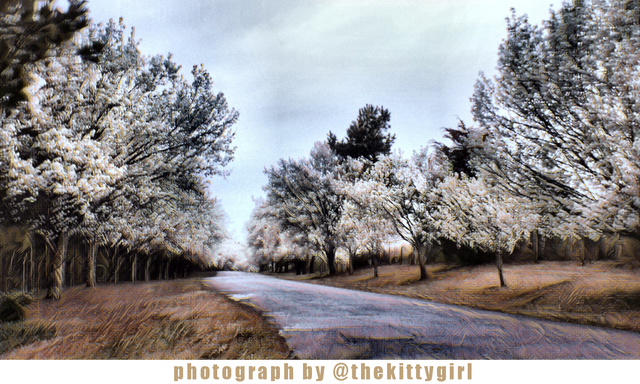 All through the neighborhood, the Bradford Pear trees are sporting their white blossoms and almost begging to be photographed, so that makes me think of #treetuesday, initiated by @old-guy-photos. This row of several trees is especially beautiful this time of year, and only a half-mile from where I currently live. This tree is one of many cultivars ['Bradford'] of the Callery pear (Pyrus calleryana) which is native to China and Vietnam. It was brought to other parts of the world (152 different counties ) because of its beauty, hardiness, as well as tolerance of various "soil types, drainage levels, and soil acidity." However, the trees have proven to be an invasive species in some areas because they can reproduce prolifically under certain conditions. Oh, yes!!! I had never seen one until I moved to Texas for a few years. (or I never noticed is more like it) One of my neighbors had two in the front year and they were so beautiful and much like the ones you show, cotton balls! I love your trees! They are beautiful and make such a pretty little drive on a nice day. I love the landscape of where you live. They really are quite beautiful! I remember them well from my years of living in Texas; we don't have them here in the Northwest... as far as I know, but we do have lots of pretty flowering fruit trees here. I love watching the pear trees blossom in the South. Here in Ohio, no pear tree has dreamed of blossoming yet. It was still snowing only 2 short days ago. Those are some nice looking trees. I like watchig the petals fall off. It would be like a blizzard under those. The fruit trees are meant to start in my region this weekend with peak bloom next weekend. We have cherry blossom trees mostly. Looks like it's a little warmer where you are. I just got done beating my pear trees with a 2x4 this weekend. It helps put them in shock and produce better. We still have snow, so no pear blossoms yet. Lovely photos! We have lots of those blooming around here right now, as well. Though I think it is the tree pollen that seems to most inflame my seasonal allergies, they are very pretty to look at and make me happy to know spring is really here! Do those trees produce edible pears? If so how could it ever be considered invasive? Do there blossoms have any smell? I would love to be standing at the head of that lane taking in the view and scent! Thanks for sharing this beautiful spring scene! Too bad they do not bear edible fruits for you would have an abundance around you! they sure are beautiful though! Wow. These trees do really look great. Nature is still a bit behind here. The flowering of the trees will not be too long in coming.